Roger Federer put his full array of shots on display in a 6-3, 7-5 win over Alexander Zverev on Wednesday in the second round of the Italian Open, an encouraging performance considering he only decided to play moments before stepping onto the court. 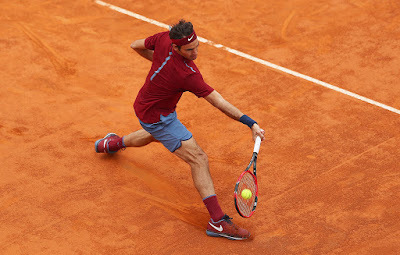 After withdrawing from Madrid with lower back pain, Federer looked sharp from the start against the 44th-ranked Zverev, using his backhand slice drop shot especially well. ''This was something that I feel like I needed to do to get a sense of where I'm at. It would have been easy not to play and then just be unsure how I was going to feel in Paris. 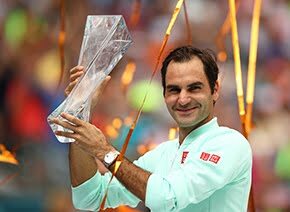 So at some point you have to go out there and see how it feels, and I'm happy I was able to play a full match without any setbacks,'' said Federer, who also missed 10 weeks earlier this year after surgery on his left knee to repair a torn meniscus. 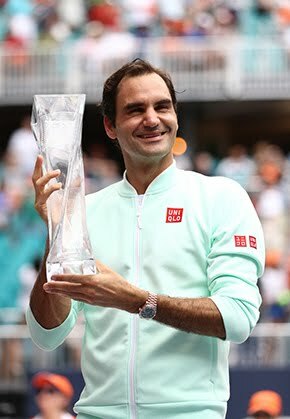 ''Clearly he has a big game and nice technique and good attitude and all that,'' the 17-time Grand Slam champion said. Federer will next meet 13th-seeded Dominic Thiem, who beat Joao Sousa of Portugal 6-3, 6-2, but he couldn't immediately confirm that he would play Thursday. ''I don't know how I'm going to feel tomorrow,'' Federer said. ''I hope so. But I'm literally going practice after practice. Every 15 minutes I speak to coaches Ivan Ljubicic or Severin Luthi and say, What else can we do? ''It's baby steps right now. So to even think of tomorrow is already a big ask,'' he added. Federer is attempting to win this tournament for the first time. It's his 16th appearance in Rome and he's a four-time runner-up. Rome is the last major warmup for the French Open, which starts May 22.